Neverwinter Nights 2 continues the adventure from the first game with plenty of enhancements to provide a better gameplay experience. Just like the original game the game uses the Dungeons & Dragons rules and the Forgotten Realms universe. Neverwinter Nights 2 is centred around the city of Neverwinter and fans of the original will recognise some of the game locations for a bit of nostalgia. This time around Neverwinter Nights is split into three different acts that each have their own plot elements, side quests and areas which all tie into the main underlying plot line of the game. 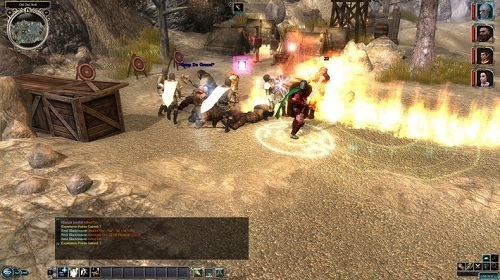 Neverwinter Nights 2 uses essentially the same camera angle as the original with players controlling their hero and their party from above. Character choice in the game is definitely not short on options with a huge number of classes available that can be paired with sixteen different races to create your own unique combinations for your hero. With the decent number of party members also available throughout your adventure there is plenty of depth available for your party design. This party design plays a vital role in Neverwinter Nights 2 and is definitely more a party RPG than a lone hero experience. Party management is fairly easy though so don’t worry if you aren’t interested in micromanaging your party members. The keep is the best features of Neverwinter Nights 2 though and is very similar to the way Fable allows players to rule their kingdom. Your keep serves as your home and the acts as the base of all your operations in the game world. As you advance through the story there are plenty of opportunities to upgrade your keep’s defences while also allowing it to produce income by inviting vendors to work and sell their products in the keep. Neverwinter Nights 2 tries some new things that fans of the original might not appreciate but overall the game is a good step in the Neverwinter Nights series with solid party based RPG features. 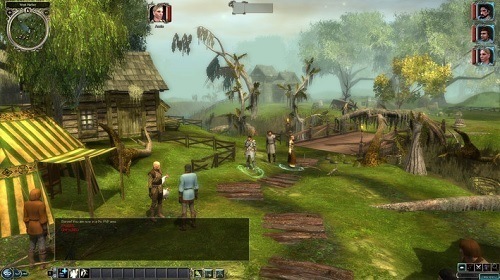 The second game in the Neverwinter Nights series. More party focused than the original. Plenty of race and class options to mix and match. Lots of depth in party makeup and equipment.